Screenings of Voices around the world in May. May is a busy month with five screenings of Voices from the Shadows across three continents. On ME Awareness day May 12th there is a screening in Osaka, Japan. Arranged by Kansai CFS Association. May 11th a screening in Tokyo for the ‘Tokyo Medical Practitioners Association’. 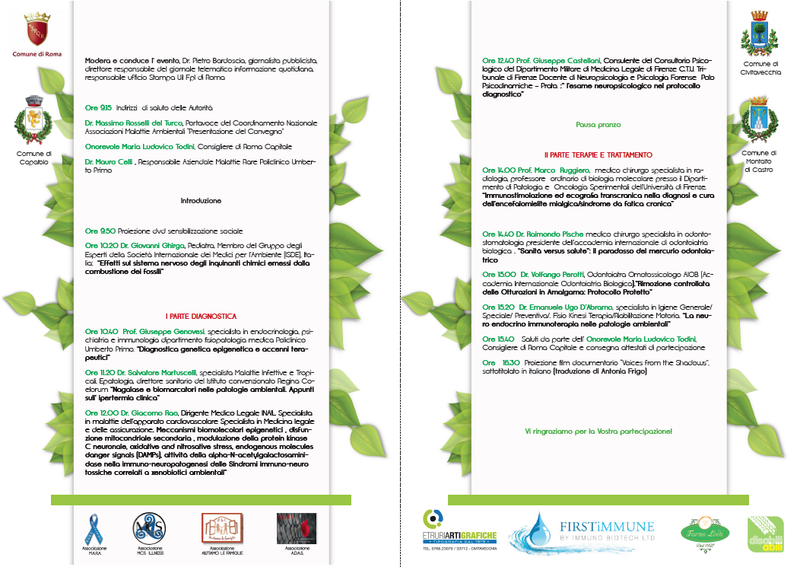 May 22nd Tokyo – a screening at the Parliament Buildings organised by Japan ME Association. May 29th Edmonton, Canada organised by the ME Society of Edmonton. In Japan there have been newspaper articles about ME/CFS and the screenings as well as TV coverage. 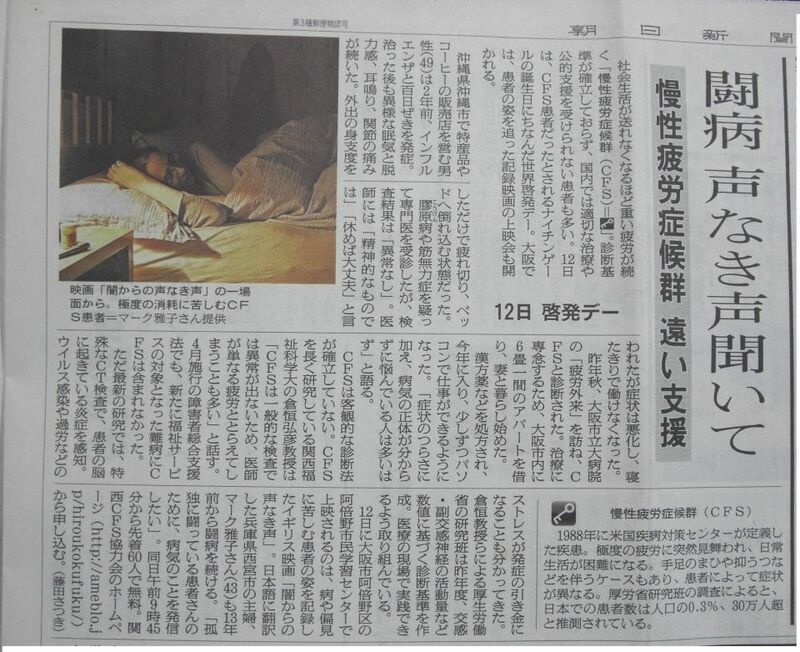 An article from Asahi Shinbun about CFS and “Voices from the Shadows”. The following is the summary translated by Masako Mark. “It explains what CFS is and how it lacks medical and welfare support. The journalist talked to one of the patients living in Okinawa who contracted the illness two years ago after having influenza. He no longer could work, but the doctors couldn’t find anything wrong with him. He was told it was psychological and he would be better if he just rested. He got much worse after that, and finally was diagnosed by Dr. Kuratsune in Osaka. He had to move from Okinawa to Osaka and rent a small apartment with his wife and kid to get the proper treatment, since there was no one who could treat him in Okinawa. After having Chinese herbal treatment called Kampo, he is now able to use computer again. Dr. Kuratsune says that ” since doctors can’t find any irregularities in normal tests, they think that the patients are just simply tired. However, the recent studies with a special CT scan show that there is inflammation in the brain and he thinks that stressors such as the virus infection or over-exhaustion trigger the illness. He is trying to establish a diagnostic system based on the activity level of the Sympathetic nervous system and Parasympathetic nervous system. 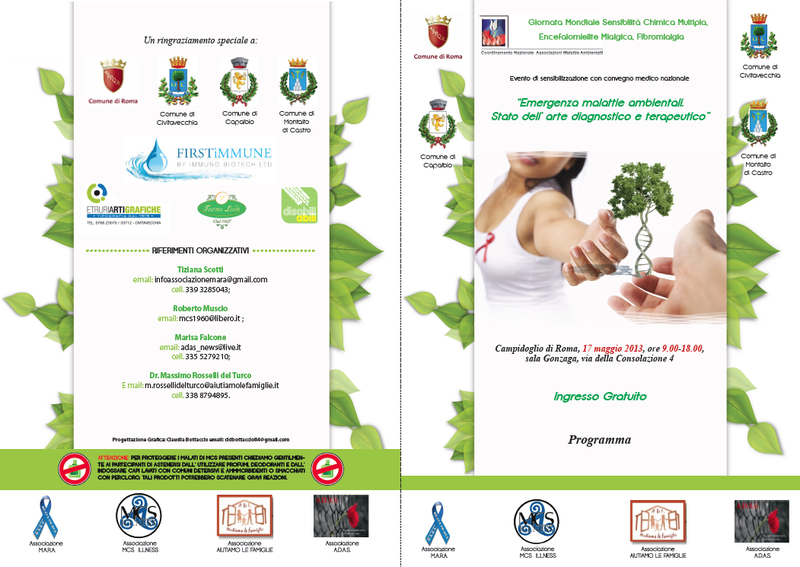 The programme for the The Associazione Malattie Ambientali Reciproco Aiuto screening in Italy.